Another fantastic collaboration between Bula Defense and James River Armory. The M21 DMR starts with a forged Bula Defense receiver. 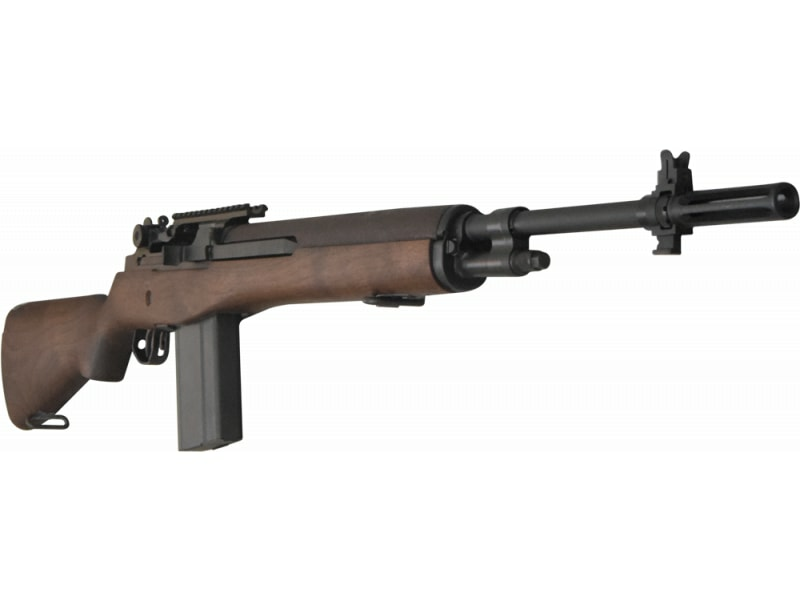 Finished to the same high level as the Original Military Configuration M14 rifles we have carried, the M21 adds an integrated picatinny rail for mounting optics while retaining the use of traditional iron sights. Pioneer Arms AK-47 Semi-Auto Rifle W / Original Polish Barrel and Receiver - 7.62x39 Caliber, W / 5 Mag Shooters Pkg....By J.R.A. DMR stands for Designated Marksman Rifle, and the M21 DMR is designed to provide the enhanced performance and long range accuracy needed to fill this role. 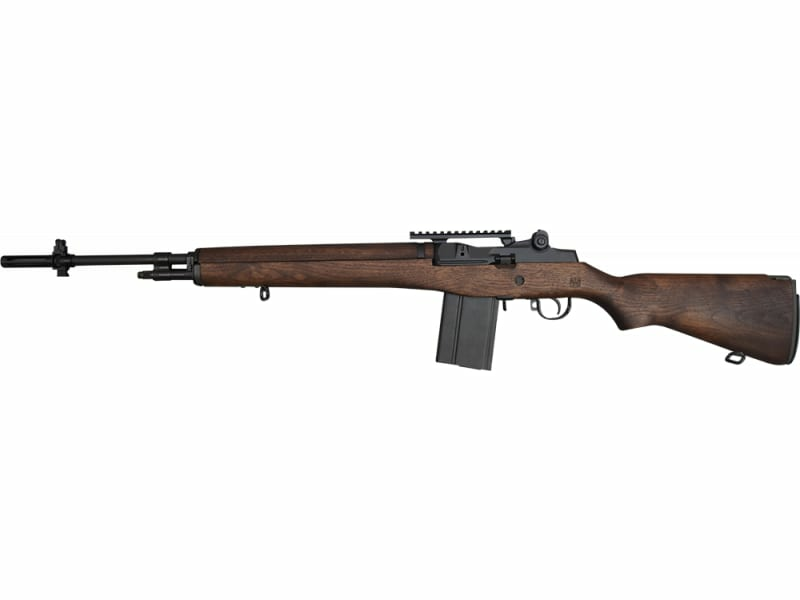 A 22" barrel, combined with integrated optic rail takes the M14 platform to a higher level of performance. An American walnut stock and manganese phosphate finish gives them a classic, old school aesthetic. These rifles are tack drivers, and a great addition to the James River catelog. JRA is recognized as one of the leading builders in the world of historically correct U.S. Military firearms and this may well be their crown jewel. 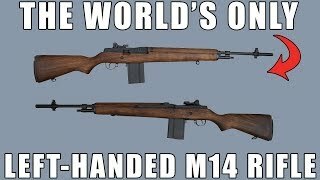 From it's forger receiver, to it's historically correct Black Walnut wood stock and matching hand guad this rifle has it going on. Fully warrantied by James River Armory. Ships with manual, warranty cards and 1-20 round magazine all in a hard case for maximum protection. 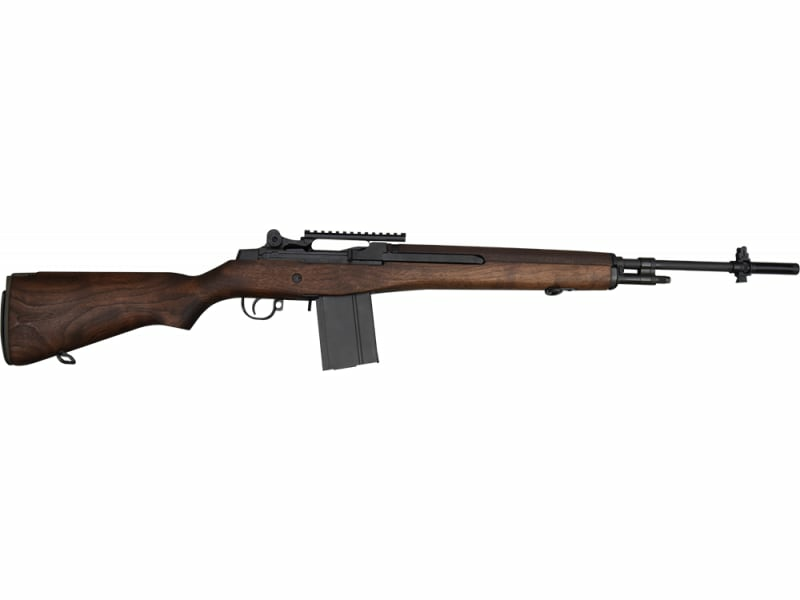 This is the M21-DMR designation of the JRA M14 rifle that incorporates a picatinny rail on top of the receiver in addition to the traditional iron sights. 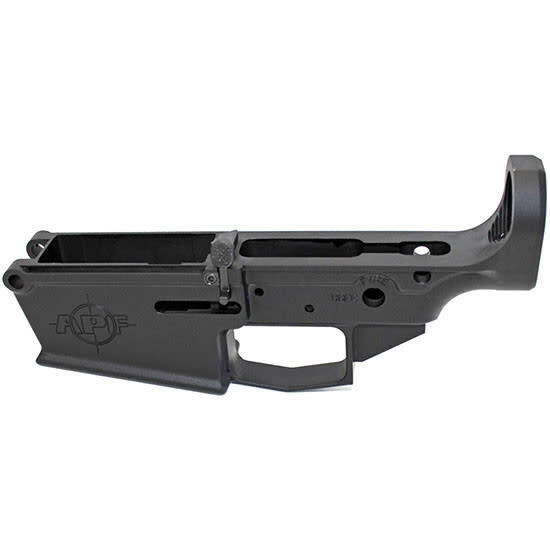 Rail is hollowed out down the length of the radius making it see through in order to allow the use of the traditional open sights while also providing the ability to easily mount optics. Rails are meticulously aligned along the sight plane of the barrel to provide exceptional accuracy when mounting optics.